Sails of Gold online slot by Play'NGo takes players to a 5-reel, 10-payline journey across the high seas. Bets per spin can be configured to cover 1, or more or all 10 paylines, by activating or deactivating lines according to numerical sequencing. The reel icons take inspiration from Europe's Age of Discovery timeline, when maritime explorers like Christopher Columbus made important geographical discoveries including that of the Americas. An image of an Explorer takes center stage as the Wild icon, helping Sails of Gold players navigate their way to the Free-Spins Round. The odds of discovering greater wealth in the bonus round is improved as the bonus reels are enhanced with an Extra Wild Symbol. The Explorer Wild Symbol appears in both base and bonus game reels. 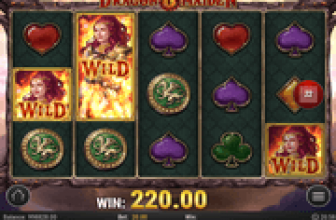 When appearing in a live payline with identical symbols, it can complete and/or expand winning combination/s of such symbols. Yet when two (2) at the least, and up to five (5) Explorer Wilds take position as matched icons in any active payline, the matched combinations pay 10, 100, 1000, or up to 5000 correspondingly. A Golden Ship totem is the special Wild Symbol featured in the Sails of Gold Free-Spins Bonus Round. As additional Wild Symbol, it is also evaluated as suitable substitute if positioned in a live payline together with identical symbols. A Sailing Ship totem represents the Bonus Game Symbol that initiates the activation of the Free-Spins Round. The image though appears only in Reels 1, 3 and 5. When all three (3) designated reels return with a Sailing Ship totem in position, a round of free games and the Gold Ship Wild will be activated. Moreover, Scatter Rewards of 200 coins for hitting three (3) Sailing Ship Symbols will be awarded. Unlike payline wins, which are multiplied by the bet value staked per line, the Total Bet staked on the triggering spin multiplies the 200-coin Scatter Win. Ten bet-free chances to land on bonus payline wins will be awarded. Here, both the Explorer and the Gold Ship icons are usable as eligible alternative images to complete and/or extend a grouping into a higher winning combination. During the free games, the Sailing Ship Bonus Game Symbol remains active in Reels 1, 3 and 5. 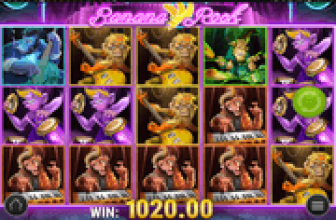 In the event that the 3-symbol Sailing Ship combo appeared as outcome of a bonus spin, another round of ten (10) bet-free spins will be awarded. Aside from giving players the option to play with less than ten (10) paylines with every spin, the betting scheme of this Play”NGo slot includes number of coins and coin values to stake on each spin. One (1) up to five (5) coins may be wagered per spin, while assigning a preferred coin value anywhere between 0.01 and 0.05. A bet per spin therefore may be as low as 0.01 (1 payline x 1 coin x 0.01) or as high as 2.50 (10 paylines x 5 coins x 0.05). 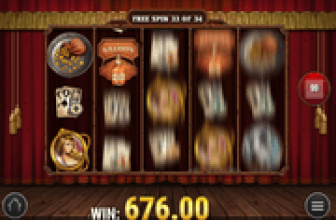 Sails of Gold - Free-Spins Reels have Extra Wild for More Bonus Wins! Sails of Gold online slot by PlayN'Go furnishes a maritime-themed betting entertainment where base game spins produce wins as well as activate the Free-Spins Bonus Reels enhanced with an Extra Wild.